International superstar creator Stan Lee and best-selling author Chris Roberson bring you the story of a man not of this world! Stan Lee, the great innovator of the entertainment industry, teams up with BOOM! Studios to deliver a brand new line of superhero comics. 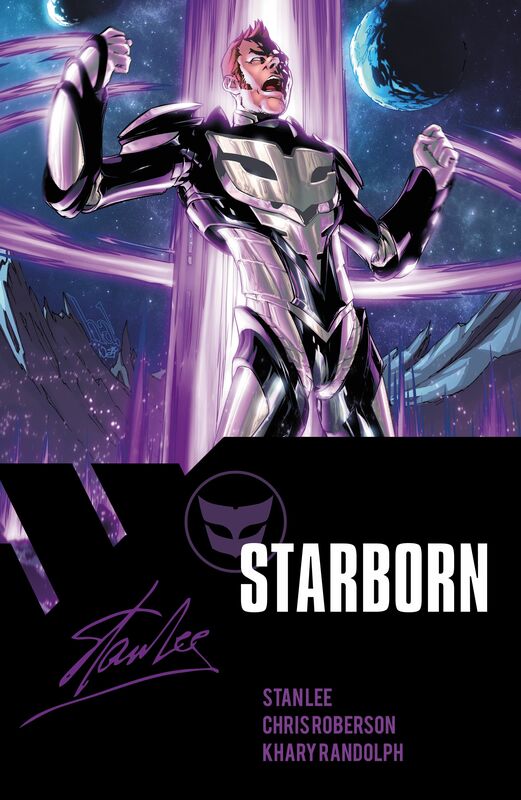 In STARBORN, Stan Lee teams up with critically acclaimed writer Chris Roberson (iZOMBIE, CINDERELLA: FROM FABLETOWN WITH LOVE) and fan-favorite artist Khary Randolph (SPIDER-MAN, TEEN TITANS GO!) to present the story of a man not of this world! Benjamin Warner is a failed fantasy novelist, always dreaming of far off worlds and exciting adventures. But when a familiar face reenters his life, and devastating trouble follows, Benjamin learns his rejected stories weren't fiction but memories of his home planet! Benjamin's forgotten past comes crashing down around him as he finds himself at the center of a galactic war and is forced to face the truth that he is... not of this world!